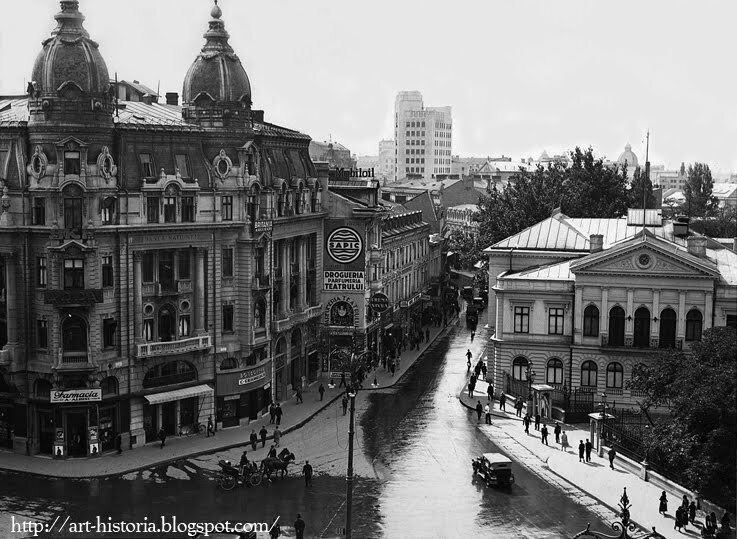 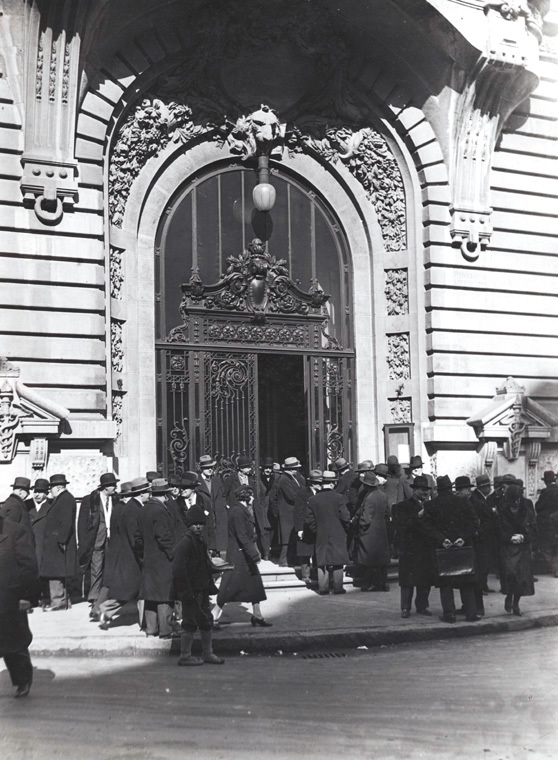 We have already written, that between the two world wars Bucharest was micul Paris, “little Paris”, the city of luxury and of an exaggerated desire for life. 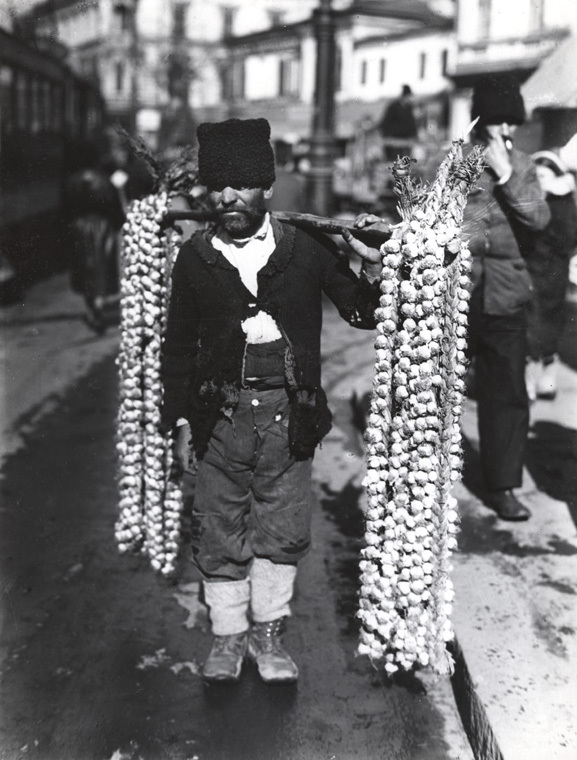 And as usual, light had its shadow: the rural masses who came to try luck in the city, the suburban slums, and the thriving underworld, described by Fănuş Neagu in And the angel cried. 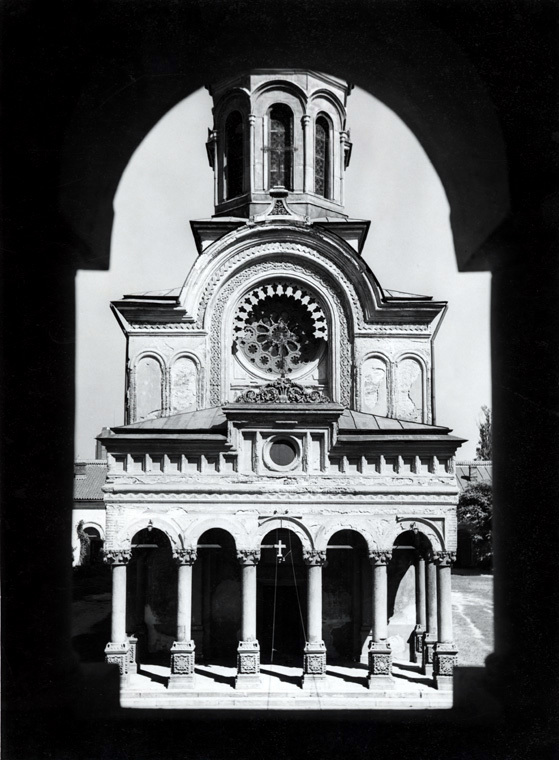 And light and shadow were fixed by the camera of the same person, Nicolae Ionescu. 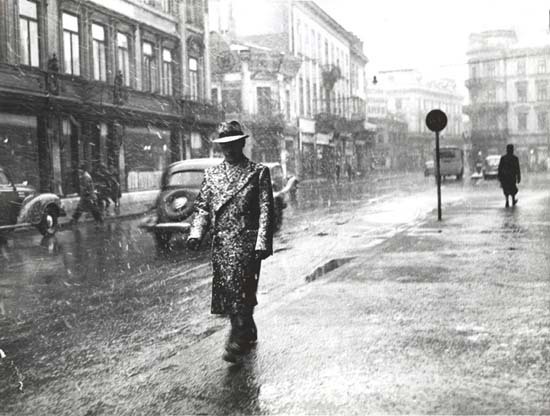 Nicolae Ionescu (1903-1975) during World War I had to interrupt school and start to work as a printer in the Cultura Naţională publisher. Here his boss and fatherly friend Dimitrie Demetrian, who had studied in Germany, introduced him to modern technology, including photography. 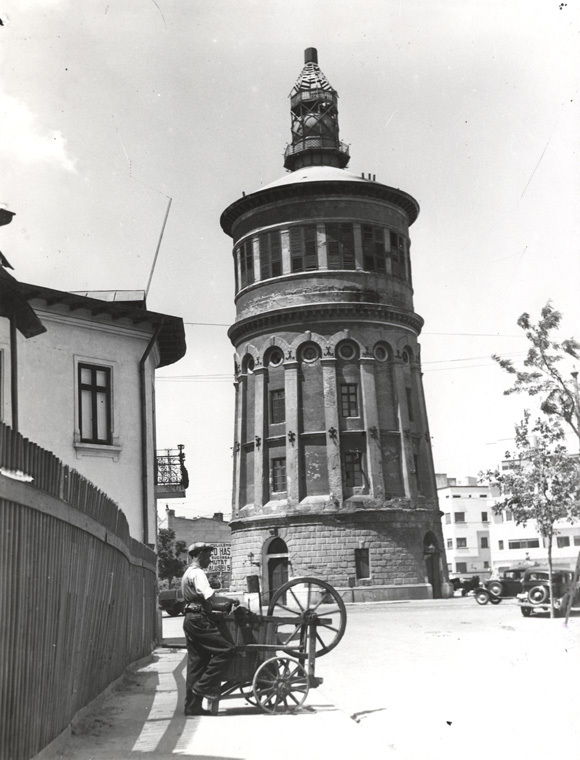 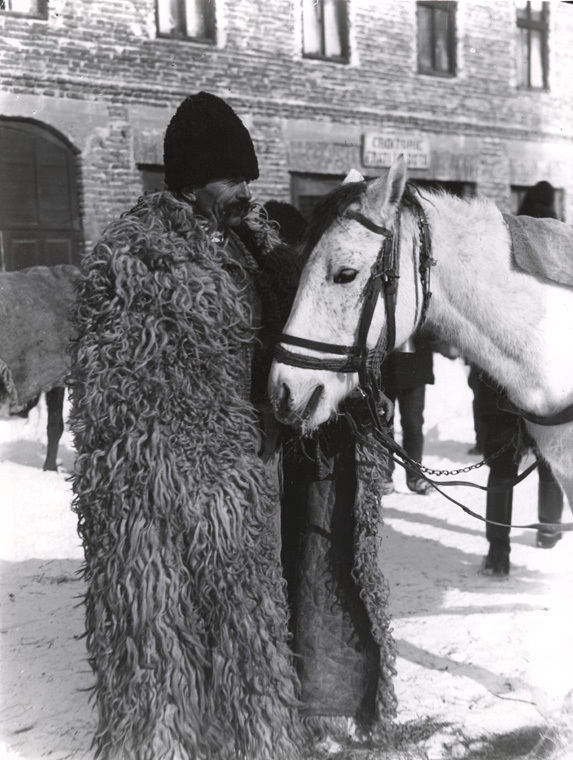 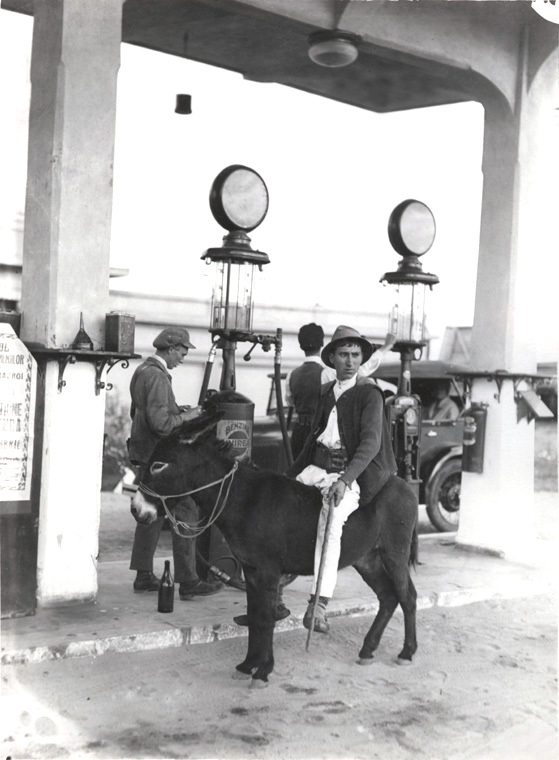 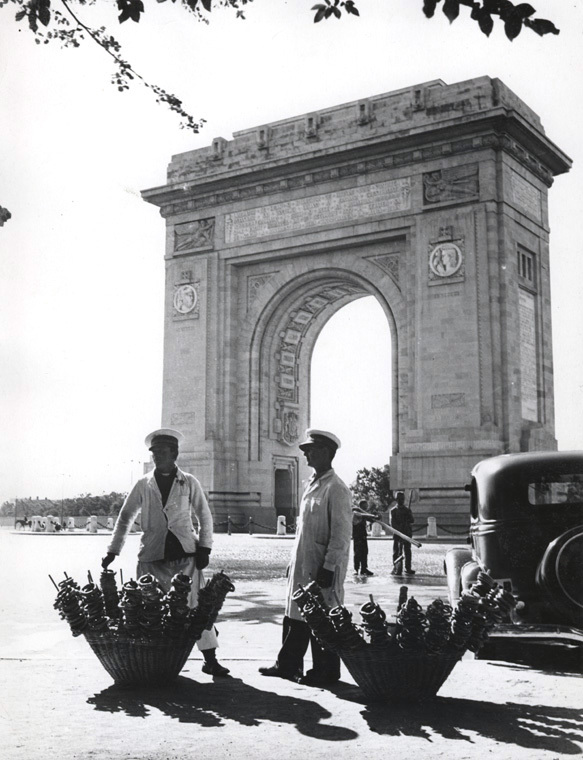 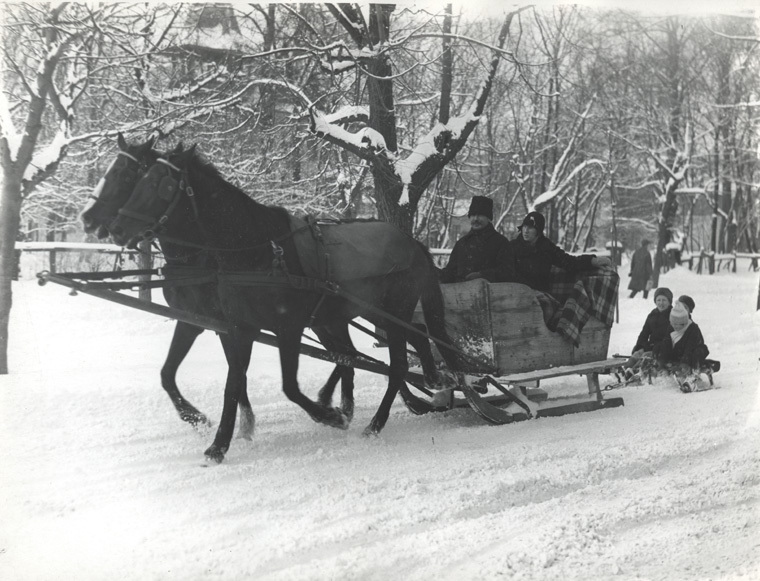 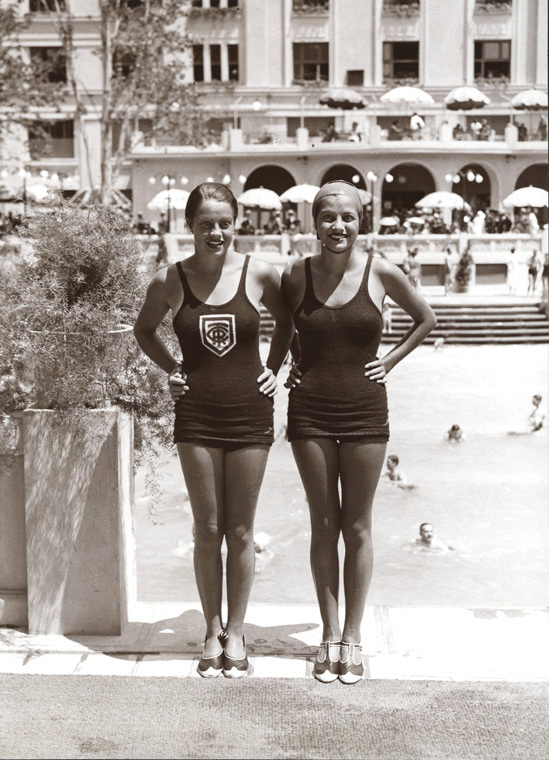 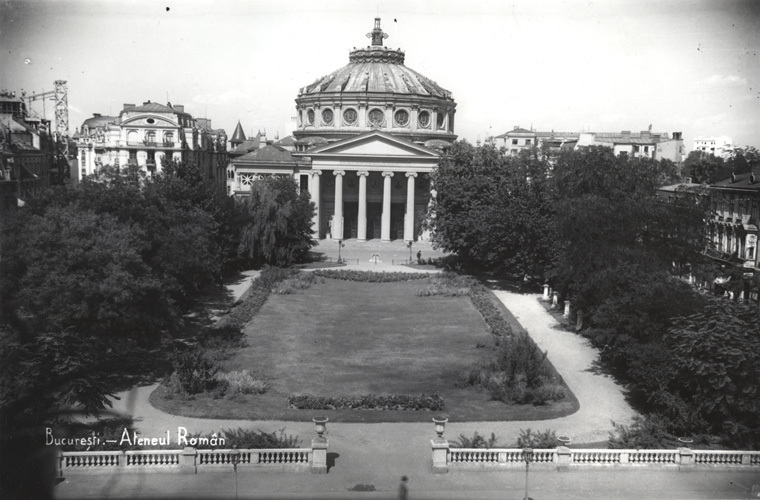 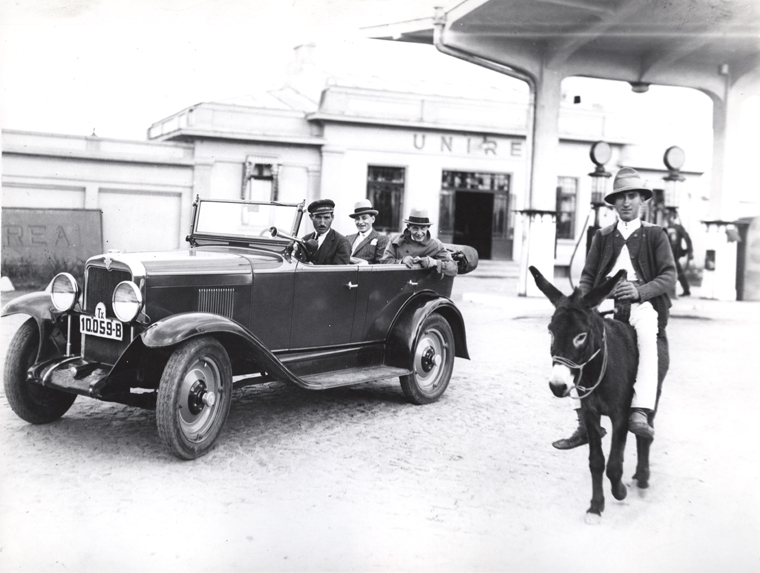 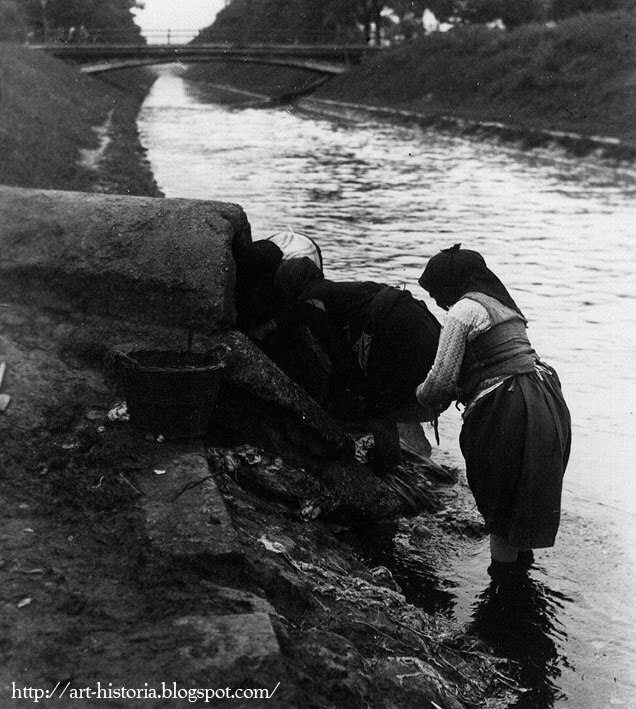 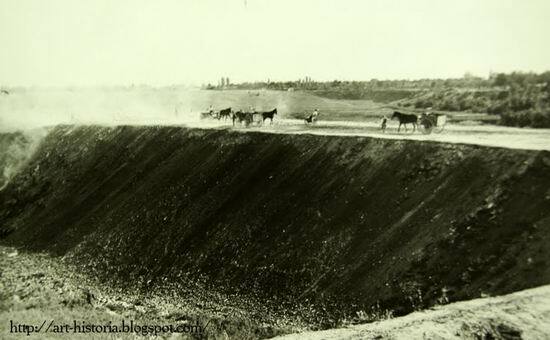 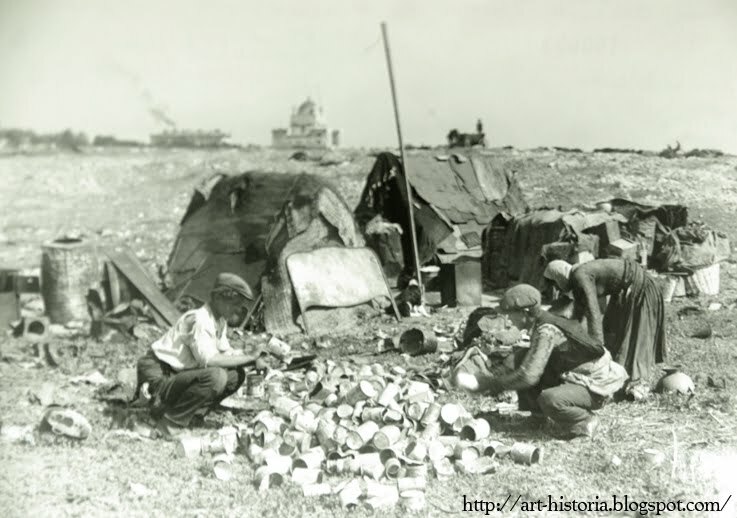 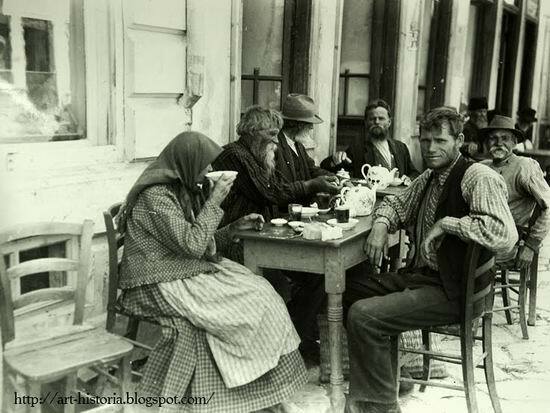 In 1927 he became a photographer of the Royal Army, and regularly photographed Bucharest and the countryside: today his photos illustrate most of the retro photo albums on old Bucharest. 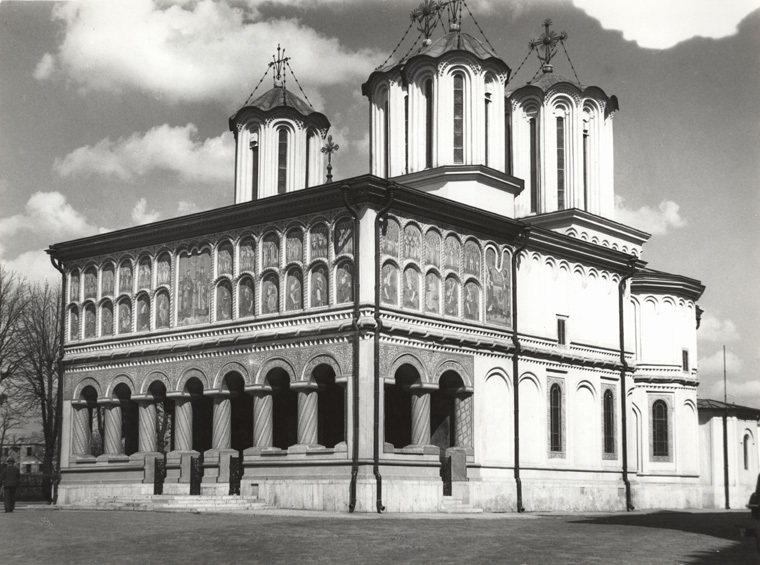 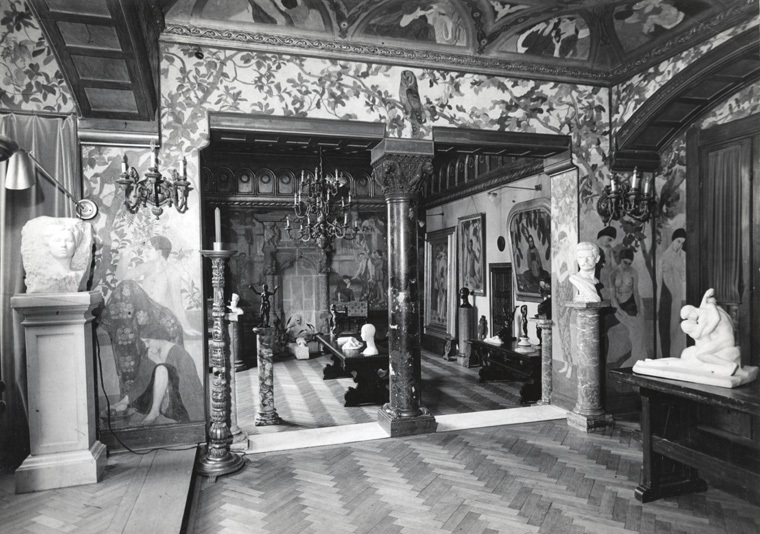 At that time he conceived the idea of a future Romanian Photo Museum, for which he systematically took photos every summer in a different region of the country. 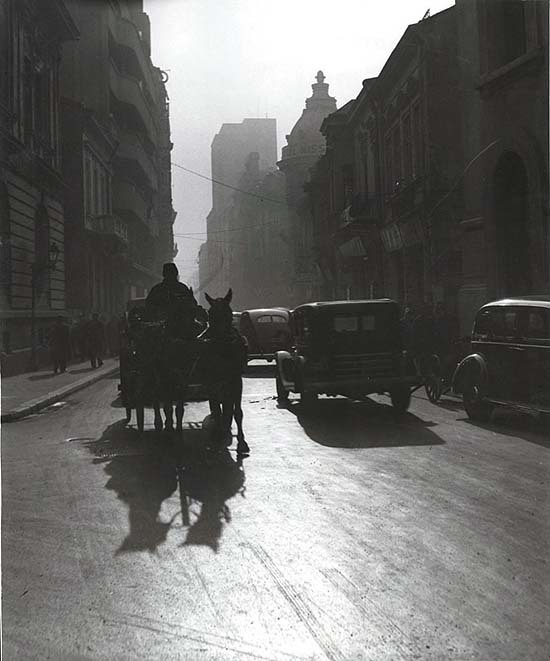 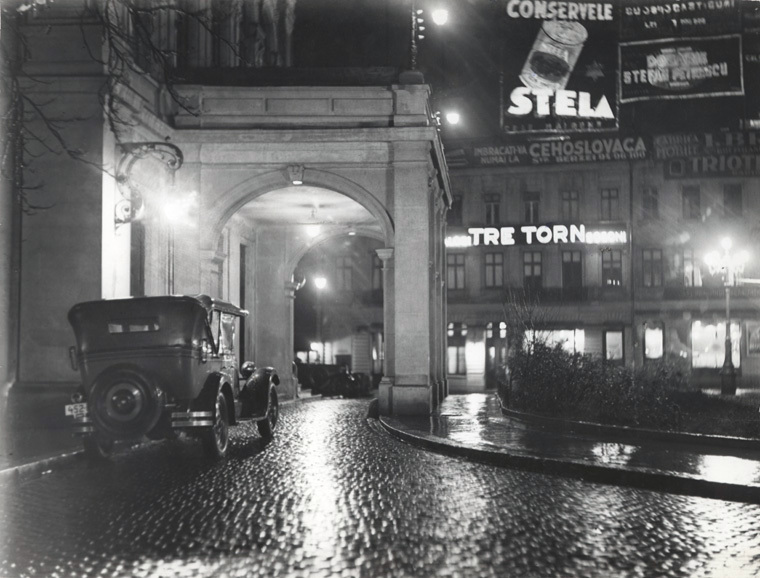 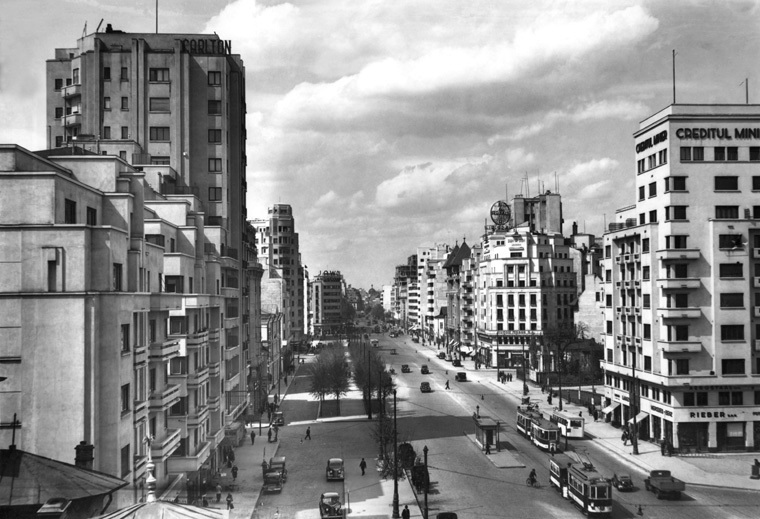 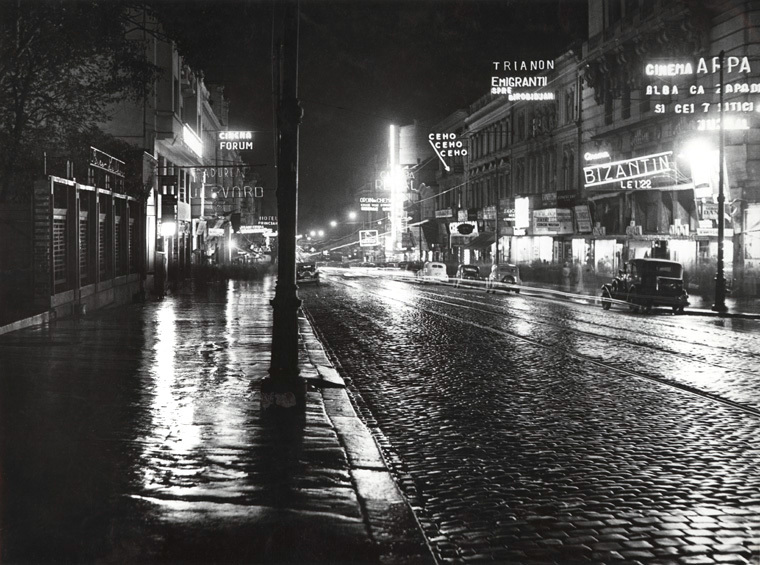 In 1930 he worked several months in France in the Lyon studio of the Lumière brothers and in Paris with Pathé-Nathan, whose influence can be clearly seen in his photos of Bucharest from the 1930s. 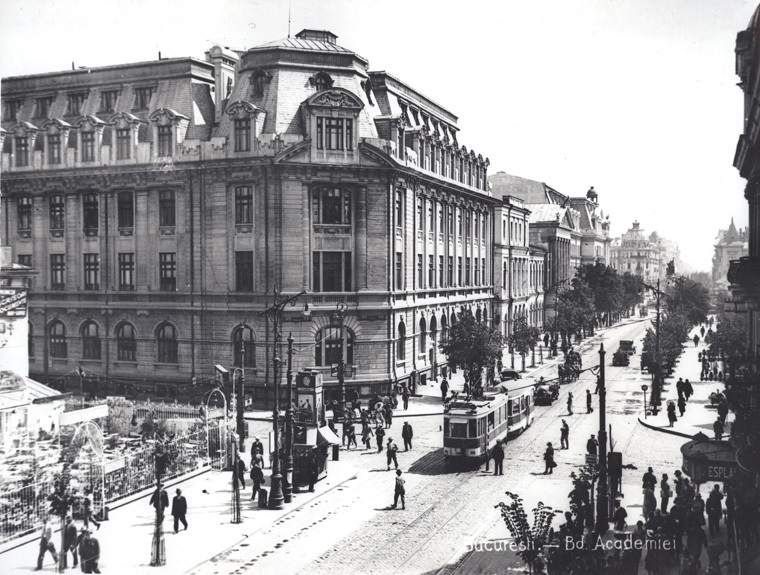 In 1937 he was appointed technical director of the daily Adevarul. 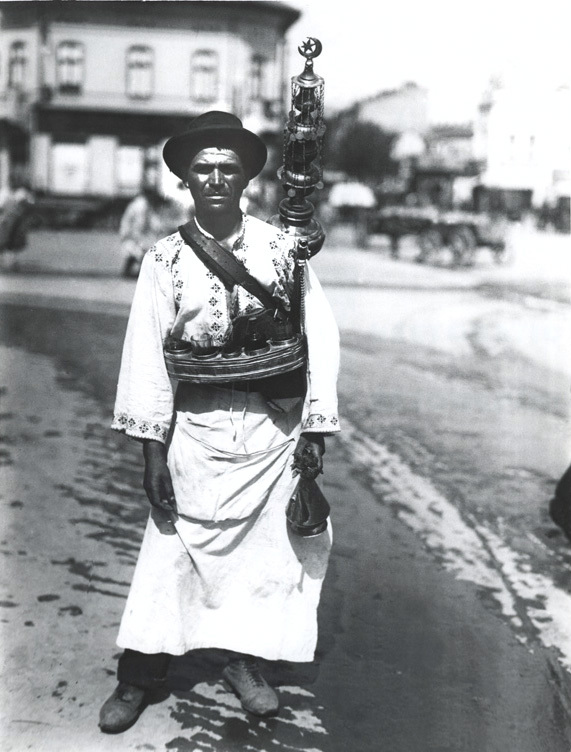 From this position he was removed in 1940 by the Iron Guard as “a servant of Jews and traitors”. 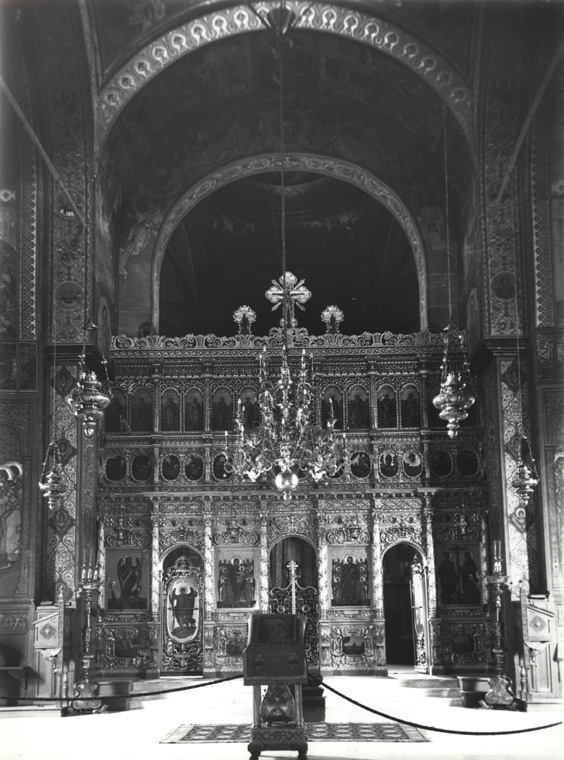 Before that, however, he prevented the Jewish employees from setting on fire the palace of Adevarul as a protest against the Guard. For this he was officially condemned during Communism as having “obstructed the activity of illegal communists”, and he could not get a job for a decade. 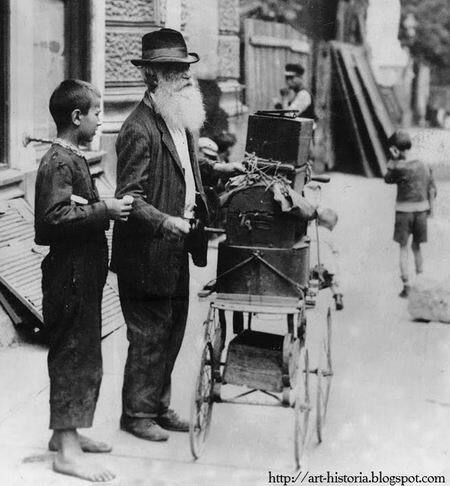 In 1945 he founded the publisher Enciclopedia Fotografică which was confiscated from him in 1947. 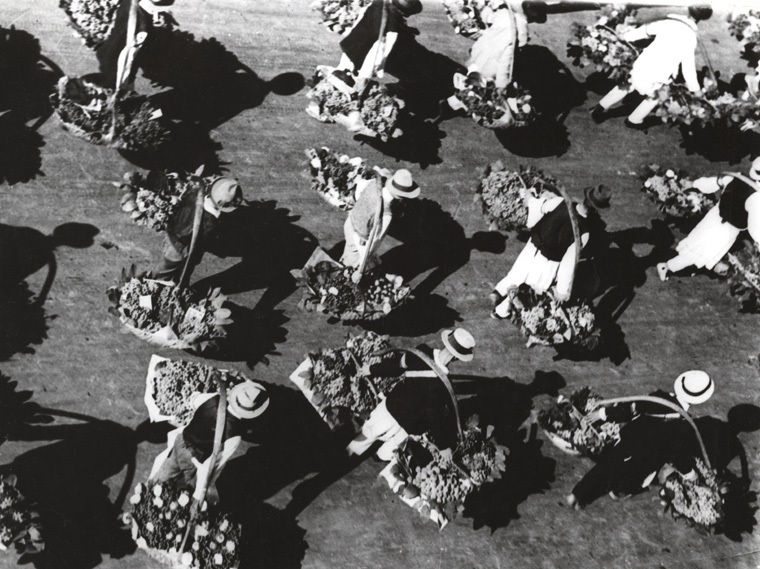 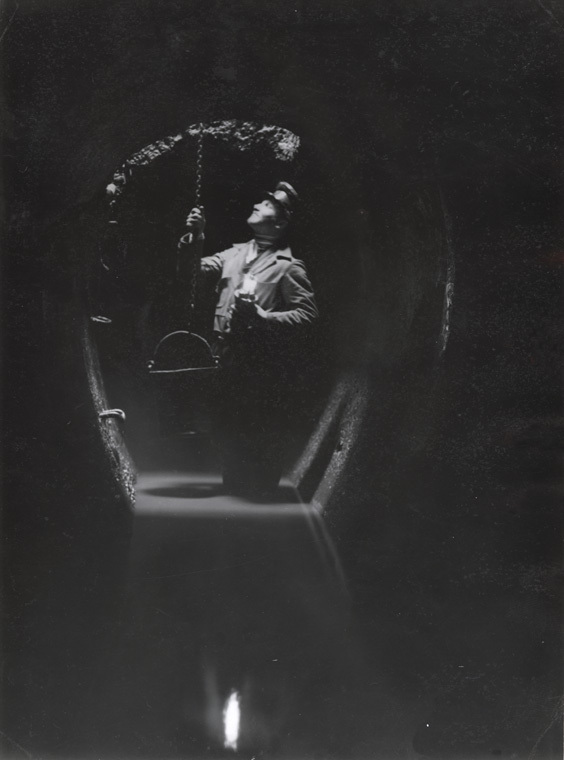 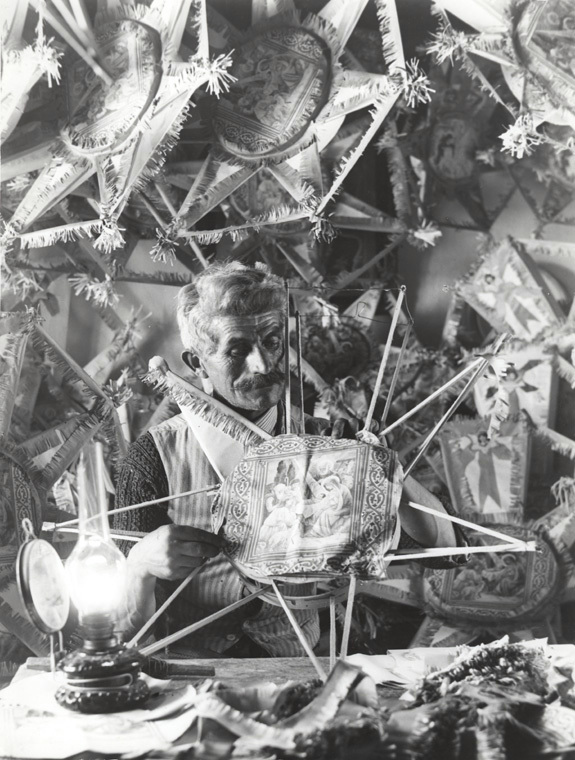 Since then he lived on casual works and on the support of colleagues until 1956 when he was admitted to the Art History Research Institute as a photographer. He retired from there, handing over the materials prepared for the planned “Romanian Photo Museum” to the academic library. 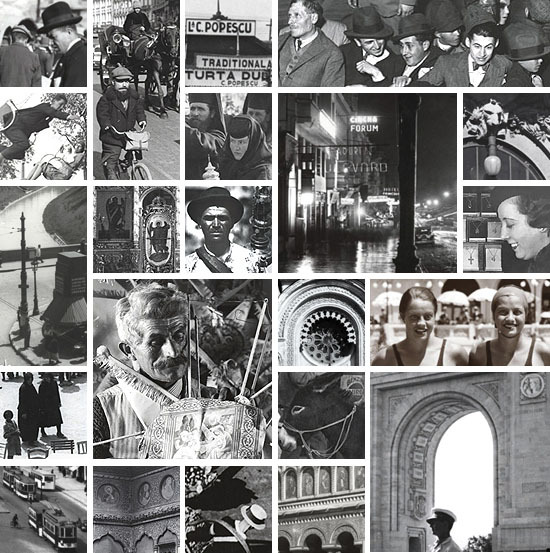 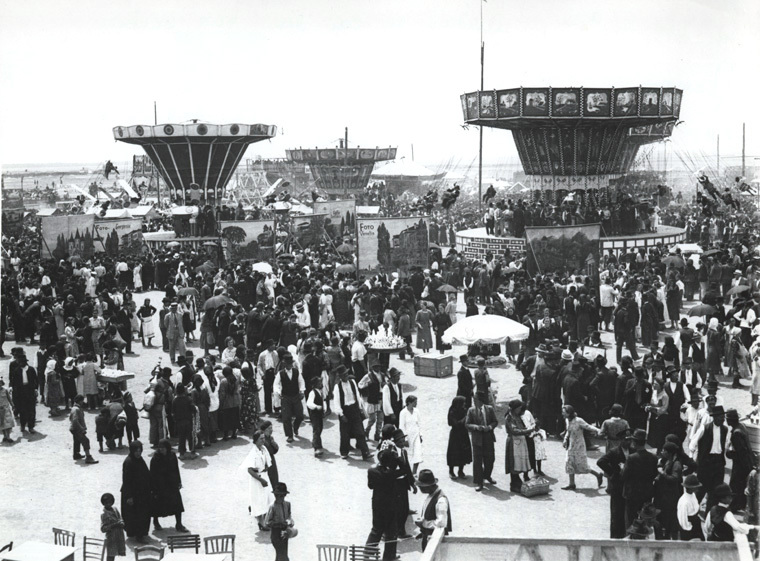 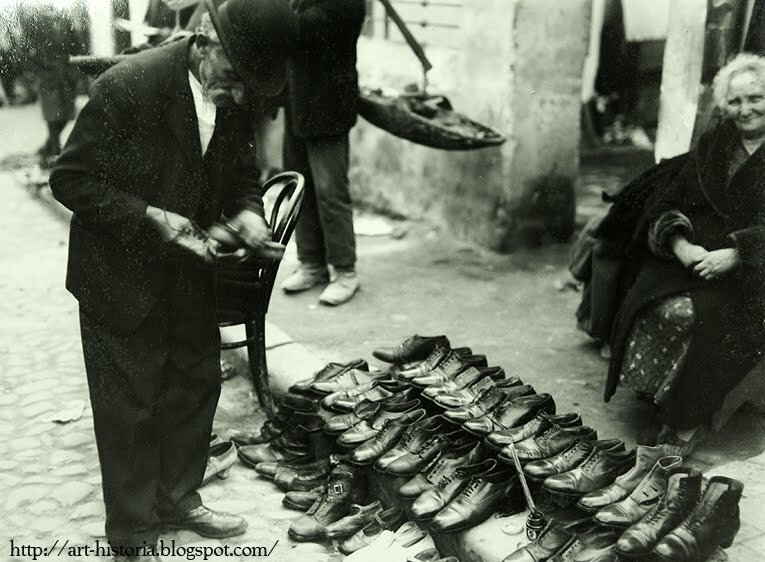 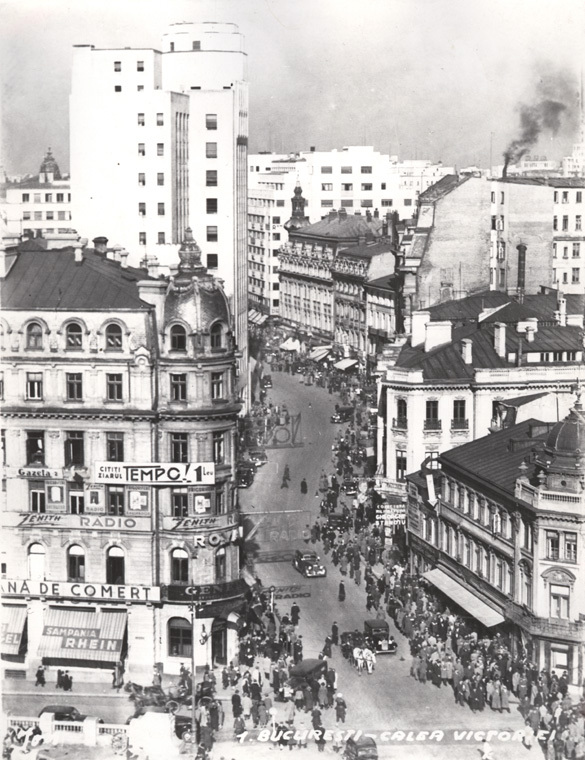 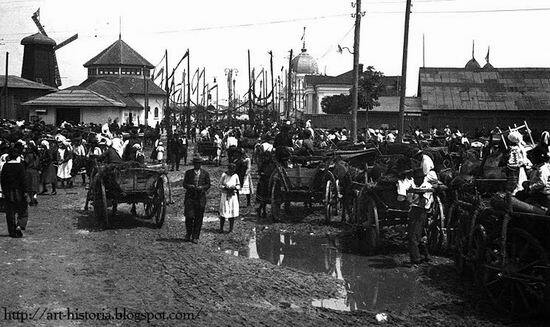 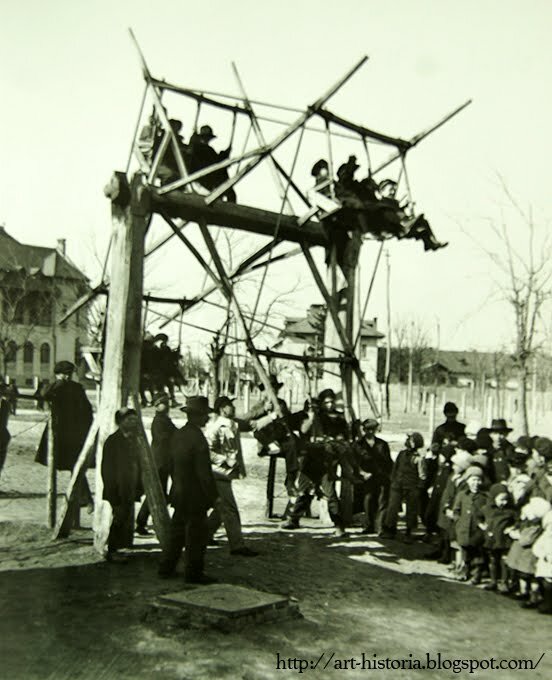 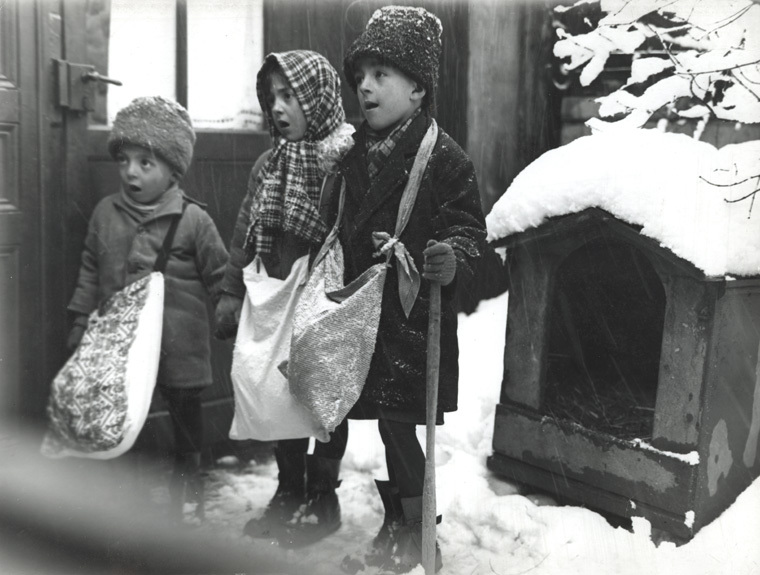 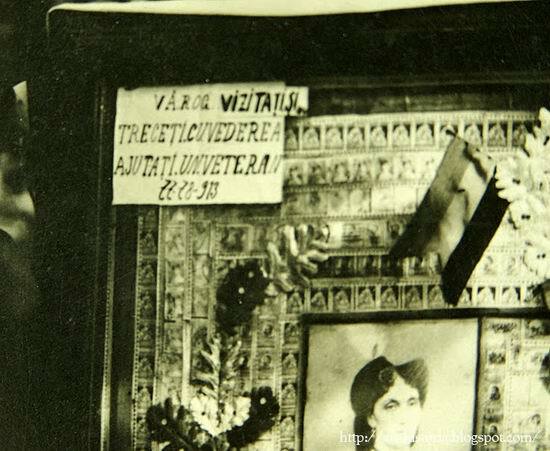 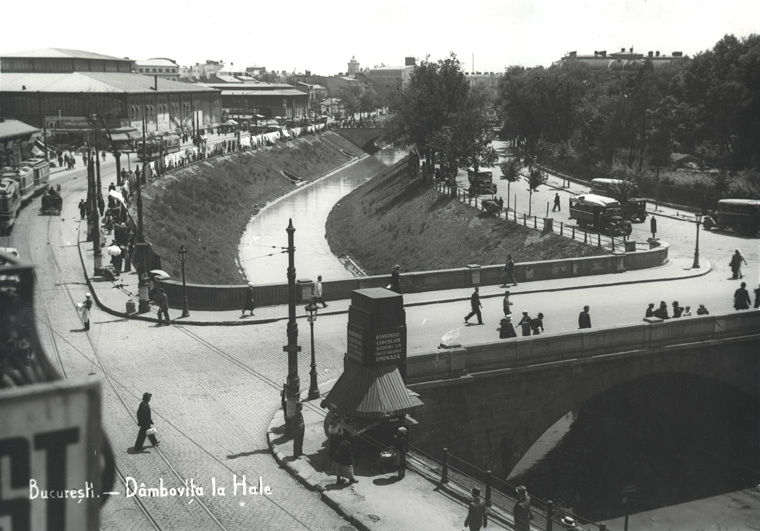 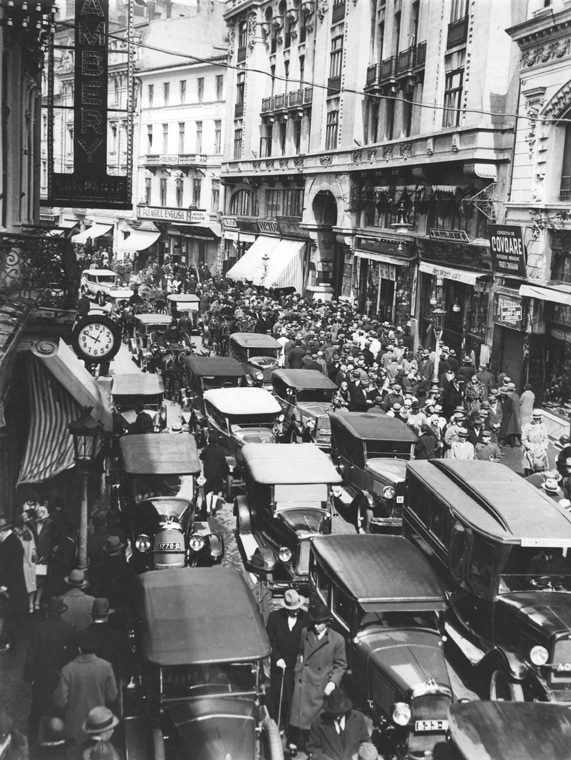 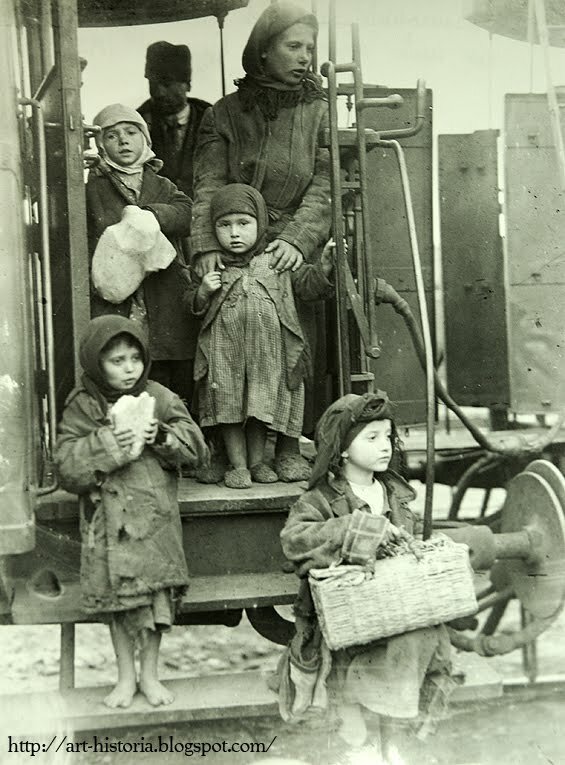 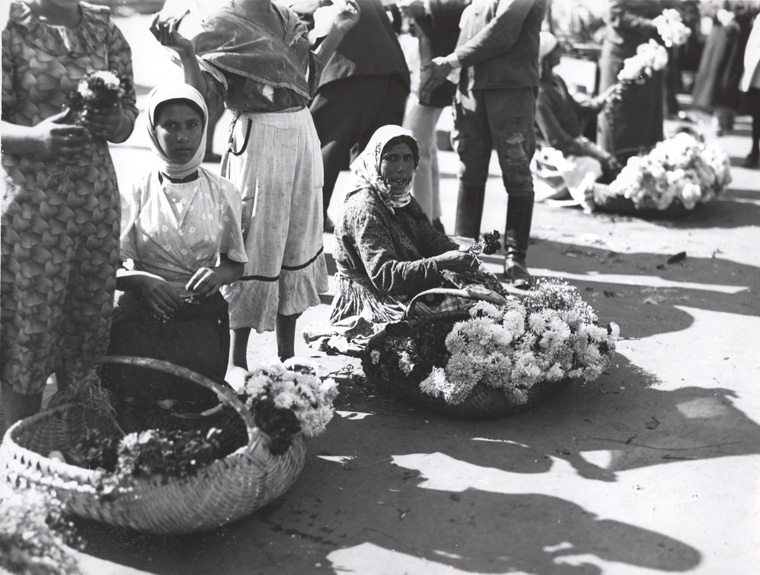 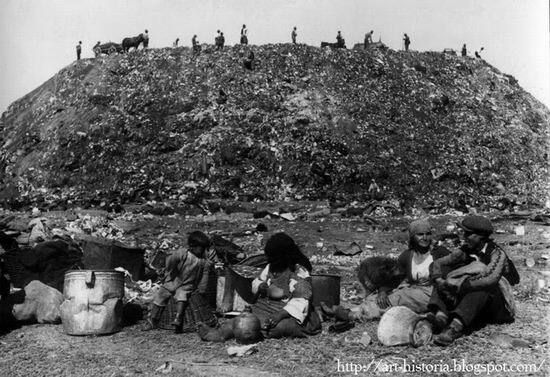 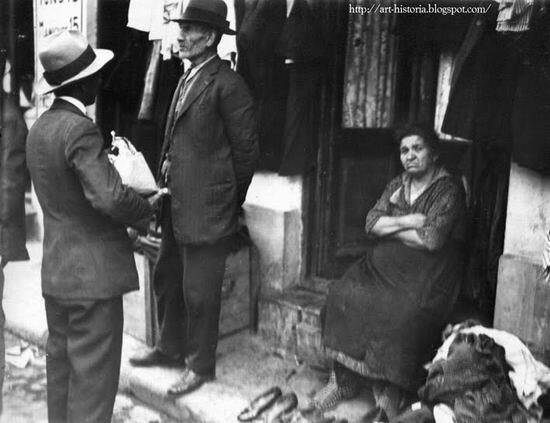 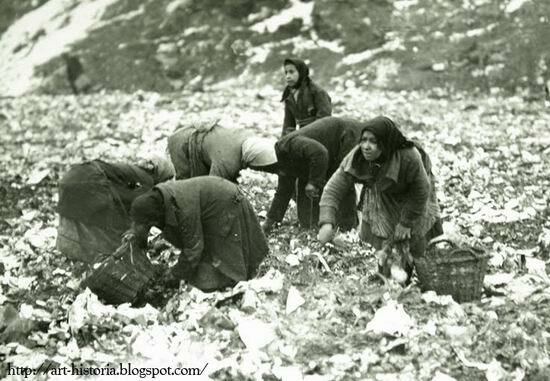 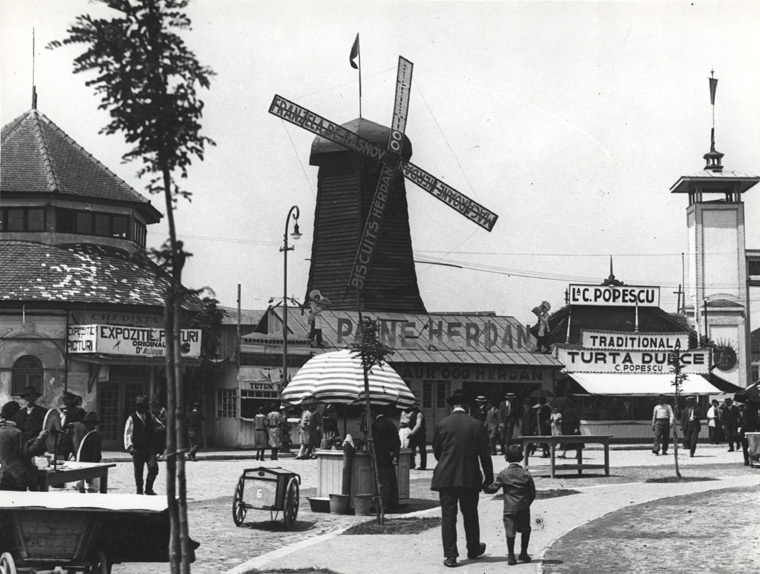 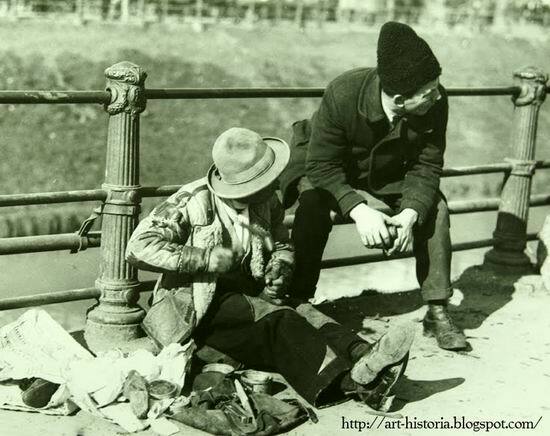 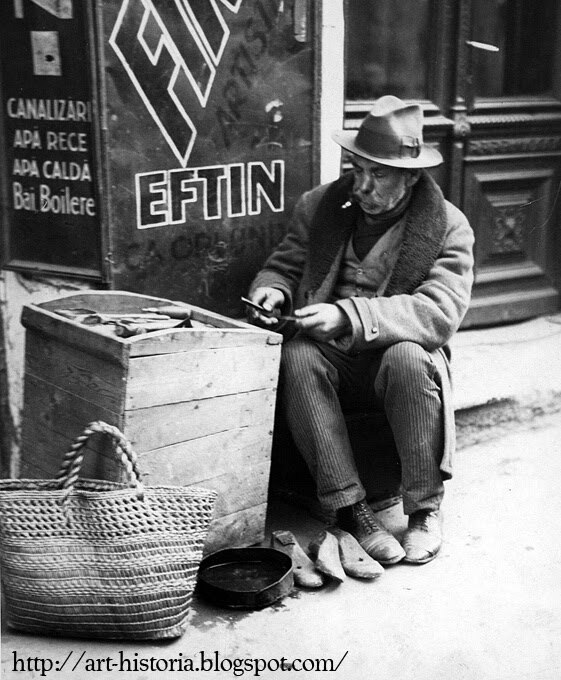 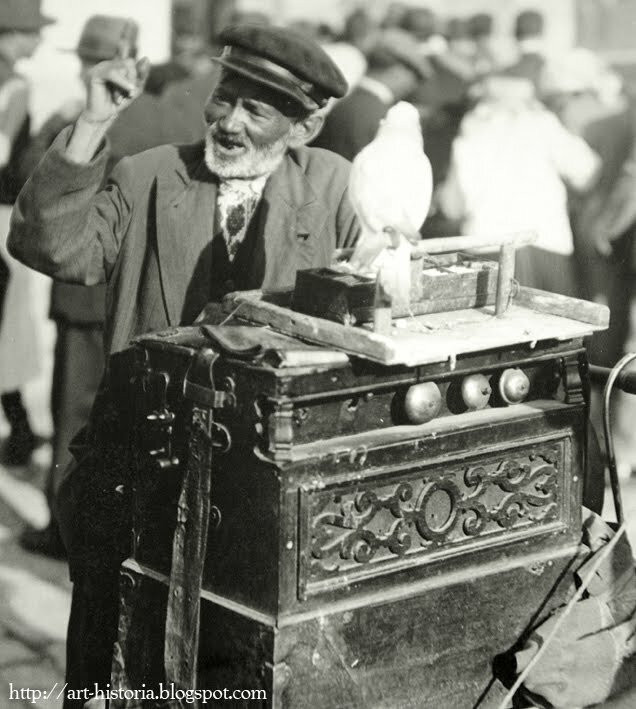 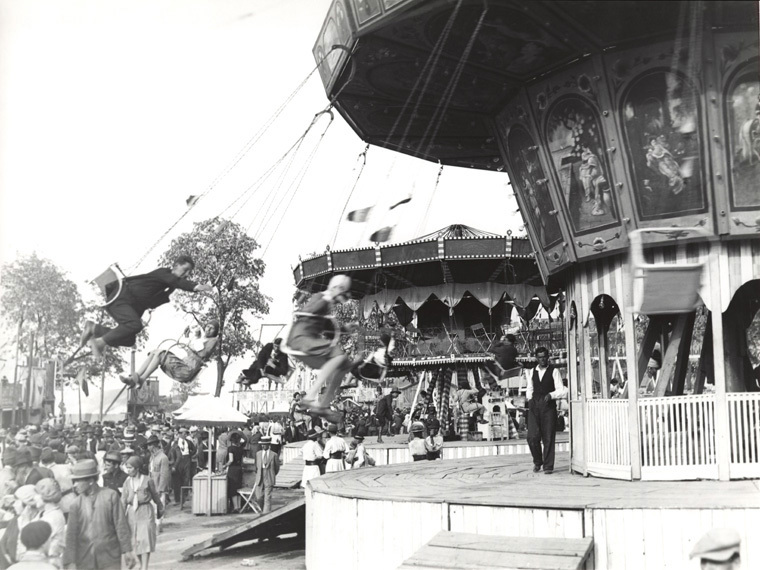 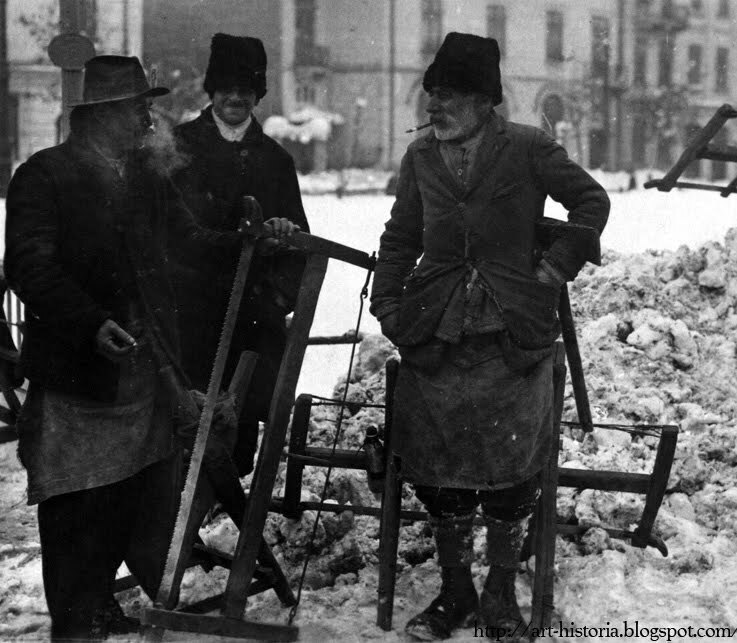 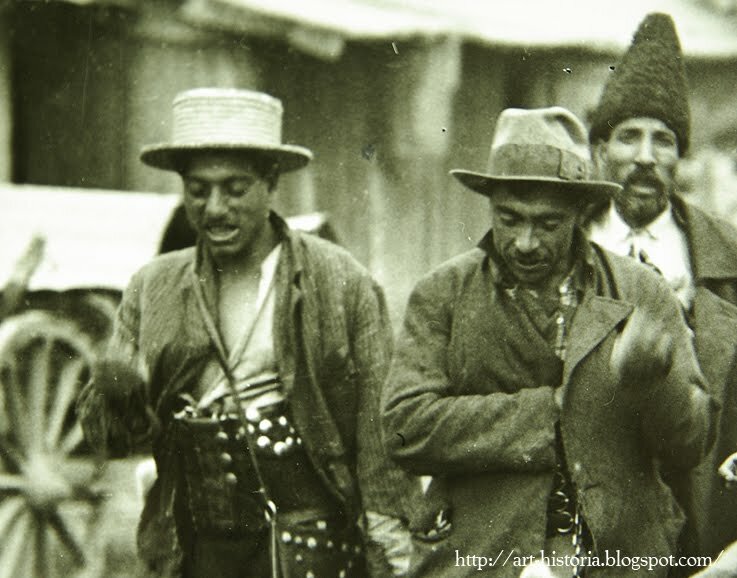 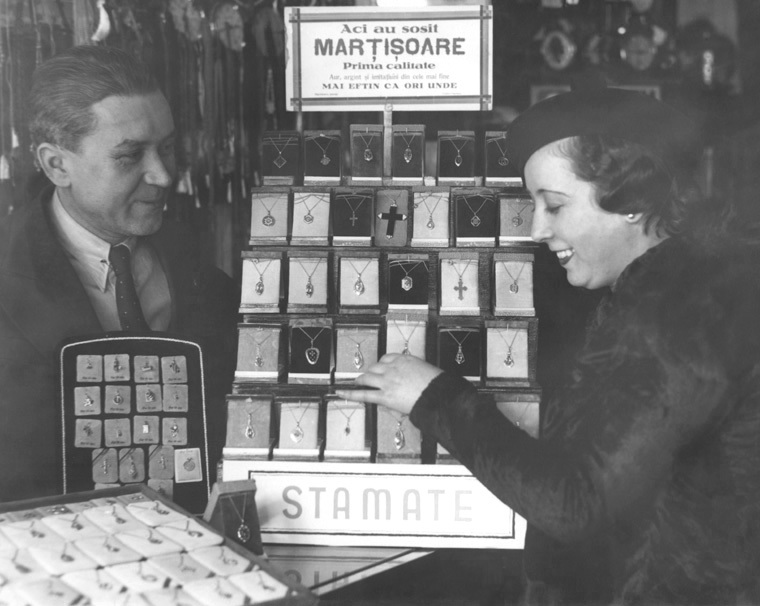 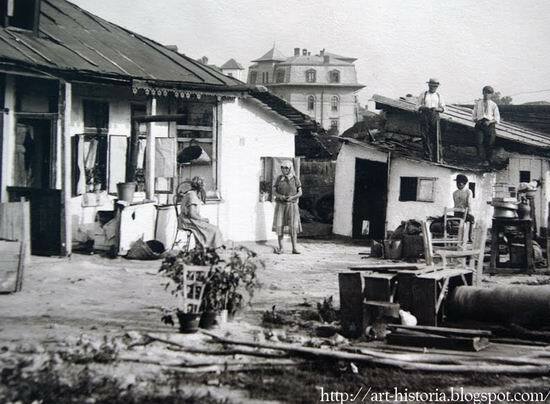 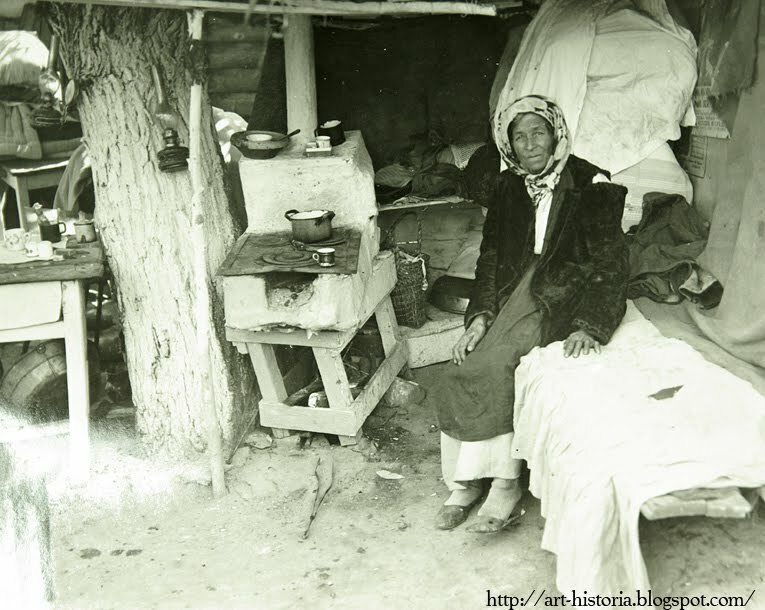 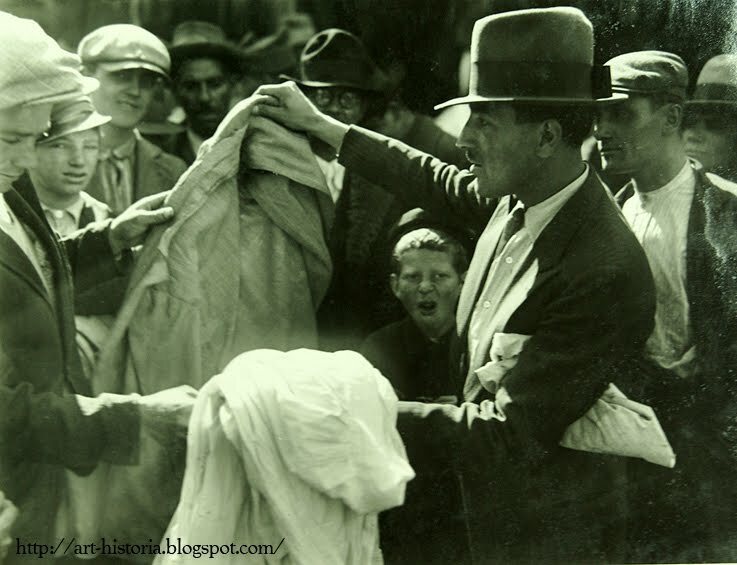 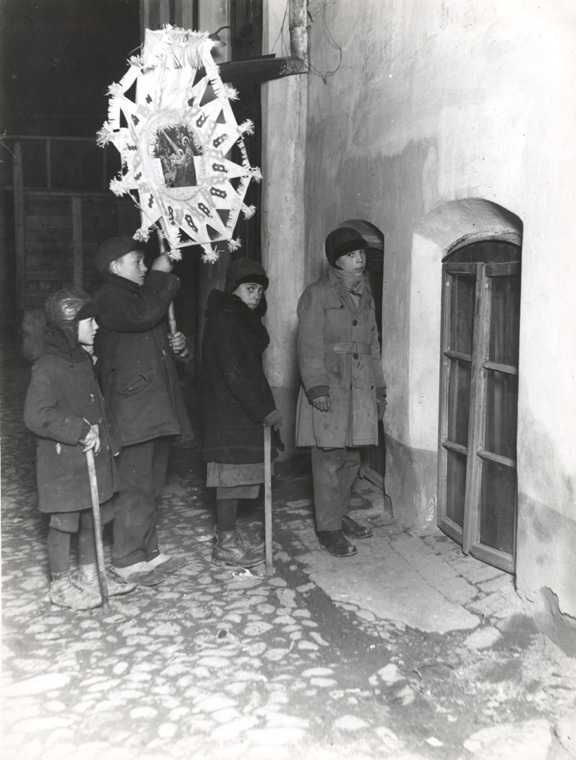 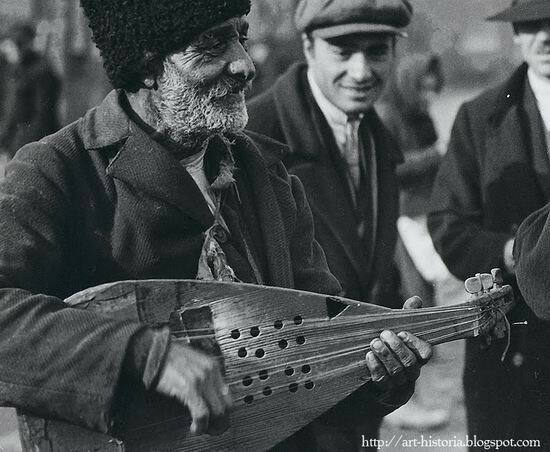 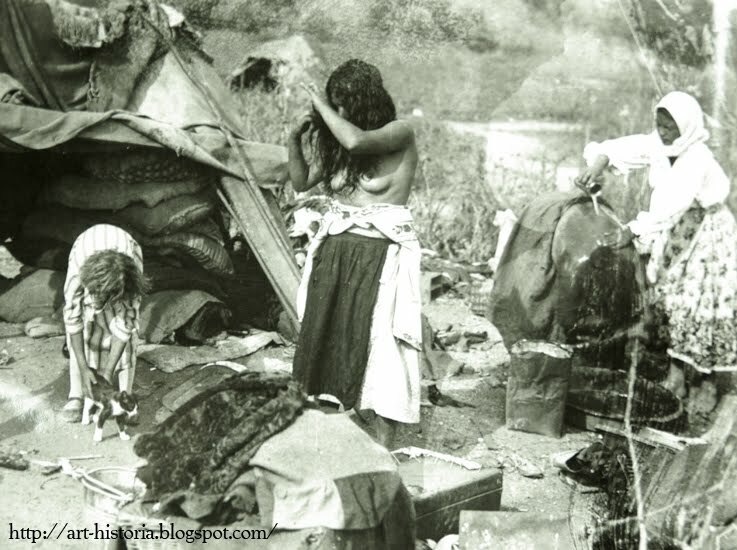 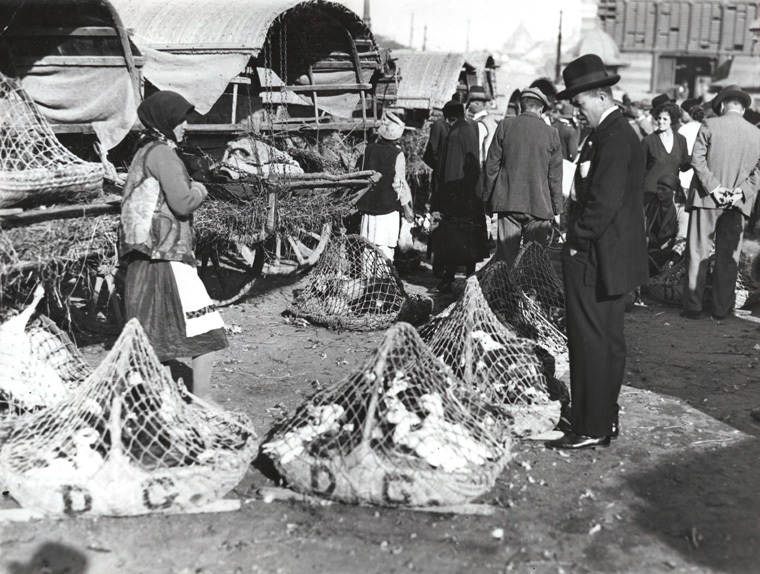 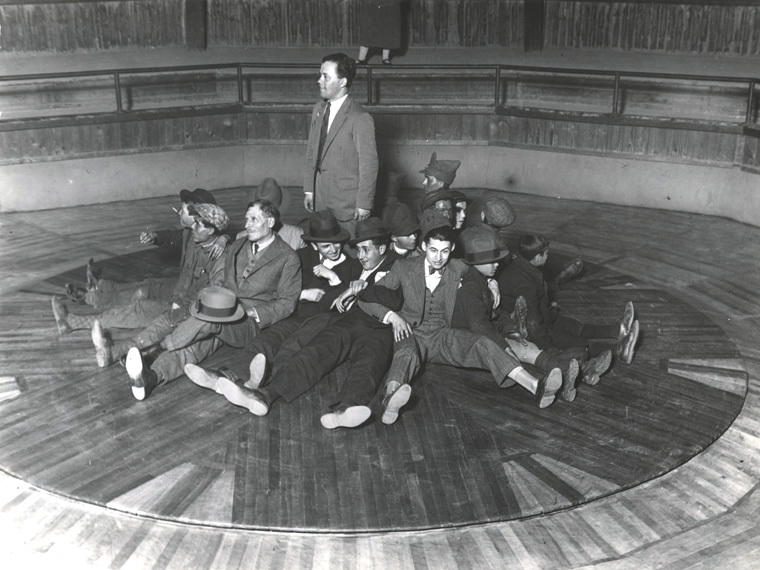 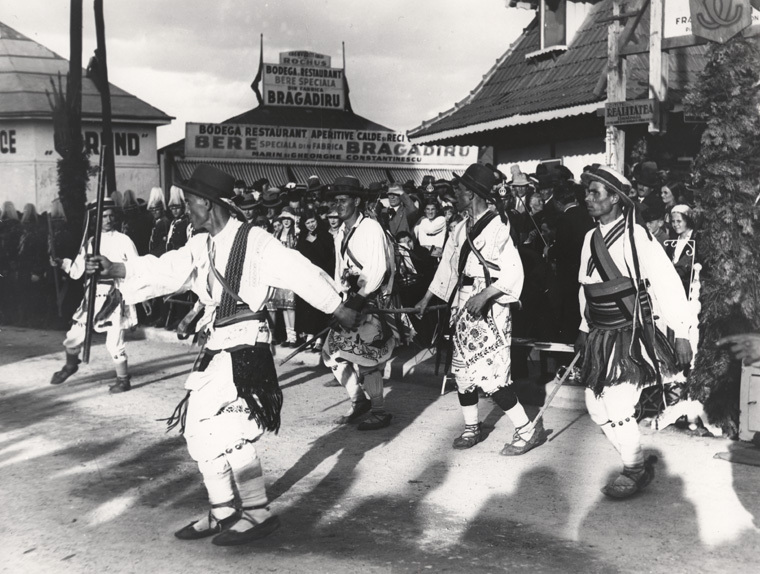 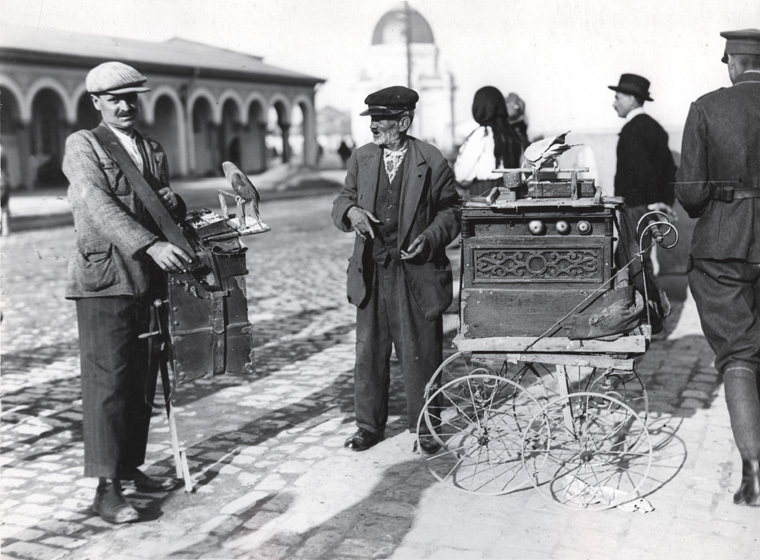 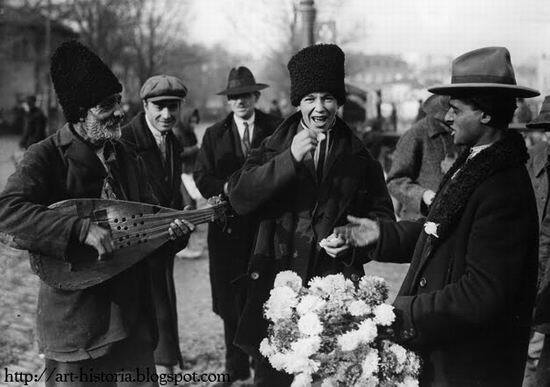 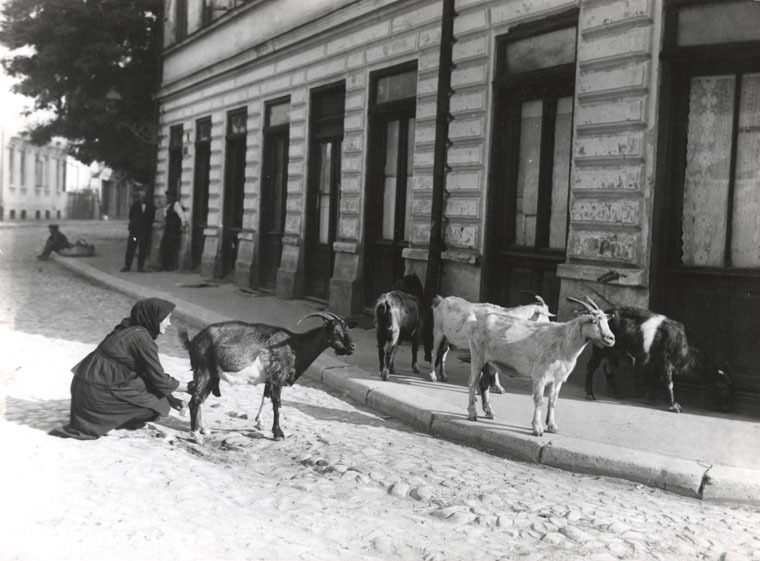 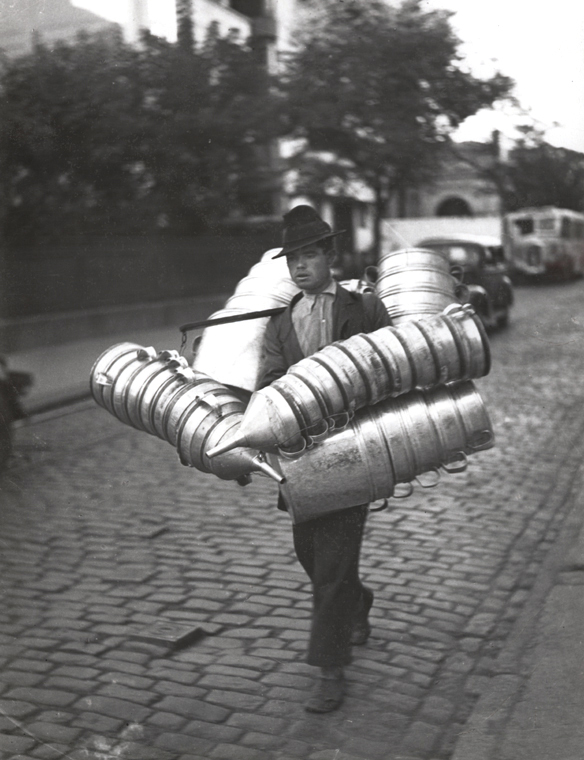 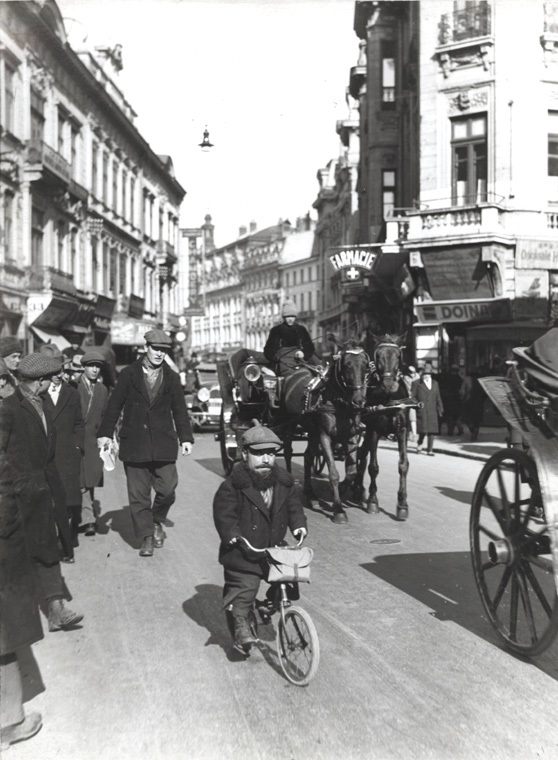 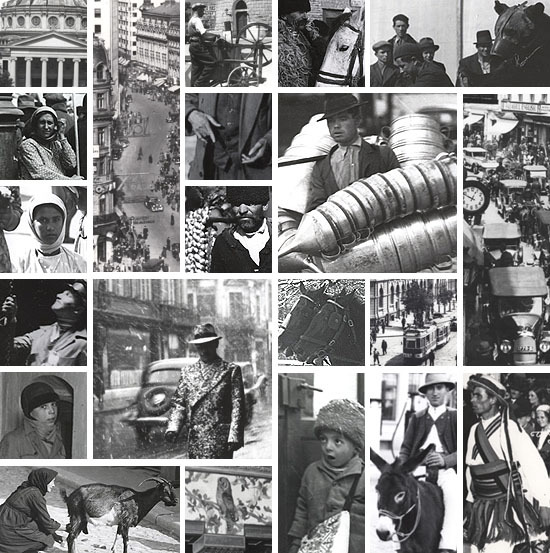 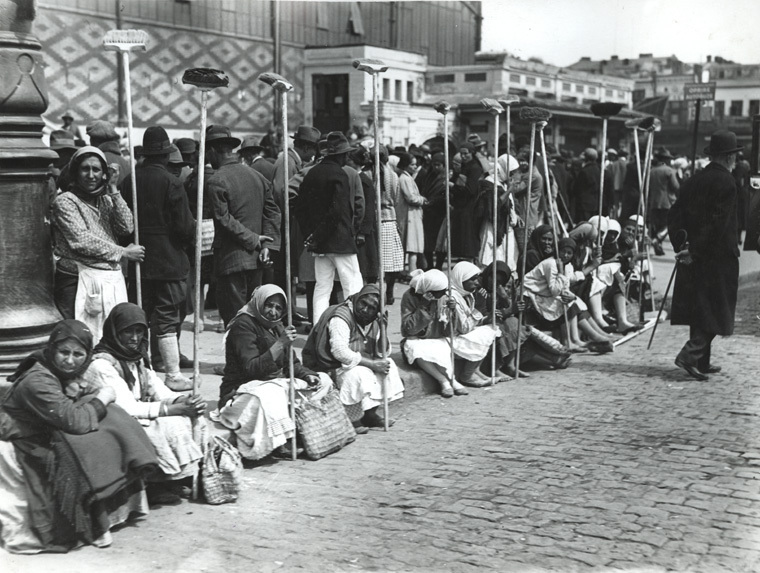 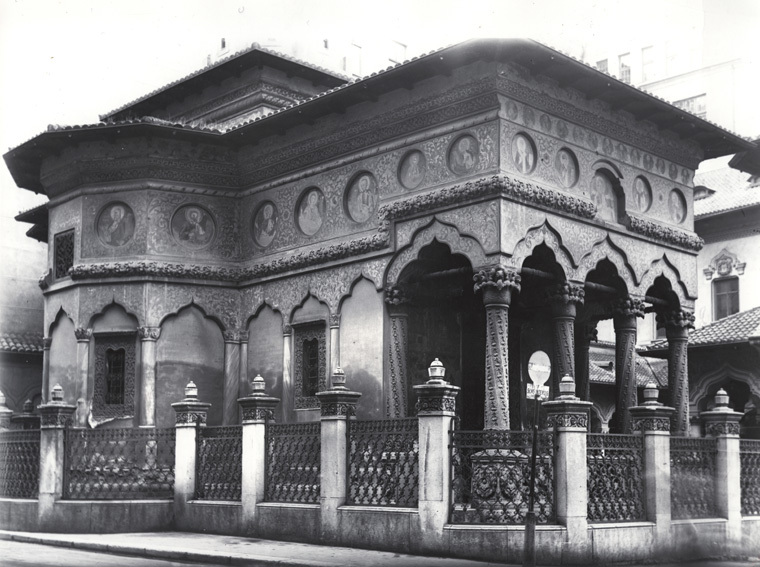 The excellent Romanian blog Art Historia recently published a selection from the photos taken by Ionescu between 1925 and 1935 in the poor neighborhoods of Bucharest: around Bibescu square, along the Dâmboviţa, on the fairs and the famous Moşilor Market in the suburbs, on the flea market of the Jewish quarter, in the “Valley of Tears” neighborhood behind the Bellu cemetery. 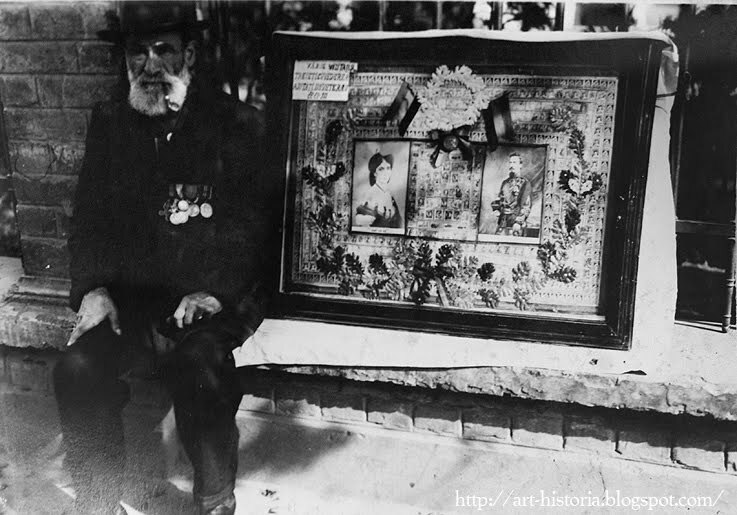 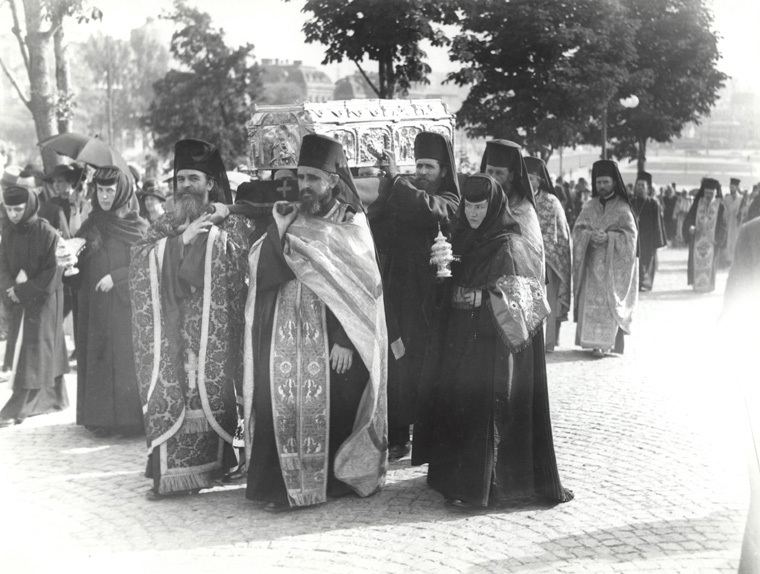 The captions were written by Ionescu himself on the back of the photos. 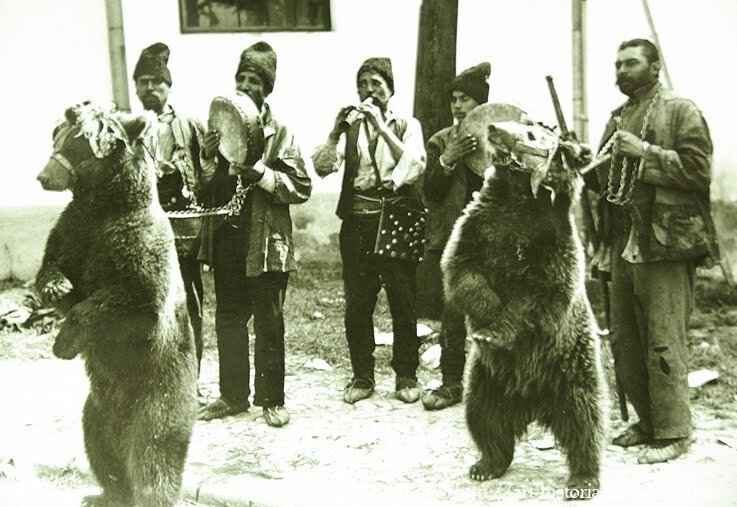 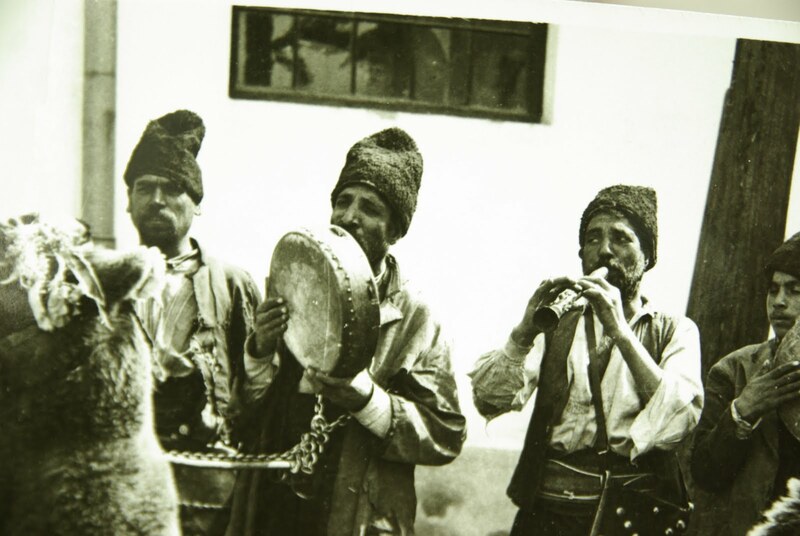 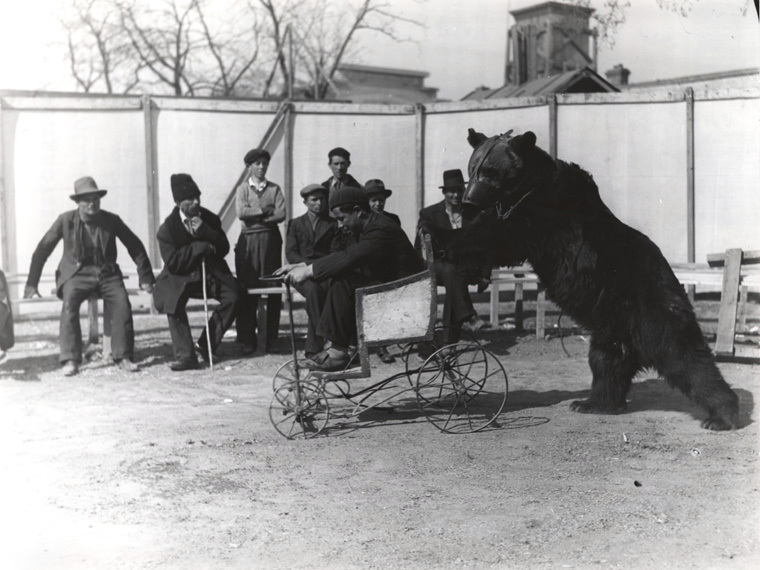 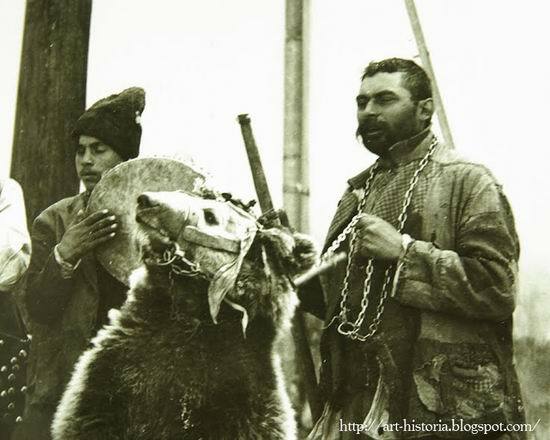 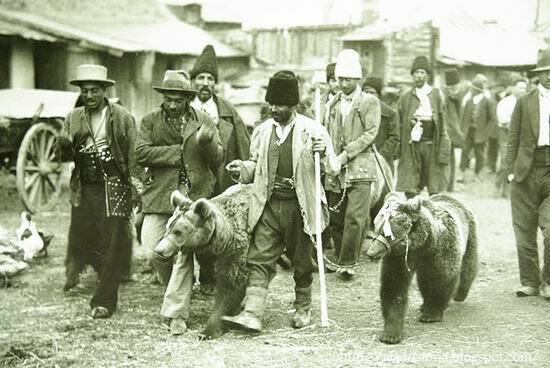 And finally there are – still there are – the bear-leading Gypsies as well.